In the Western world, we don’t get access to many of the more interesting bikes produced by the Japanese “Big Four”. A lot of the niche models are sold only in Eastern markets. 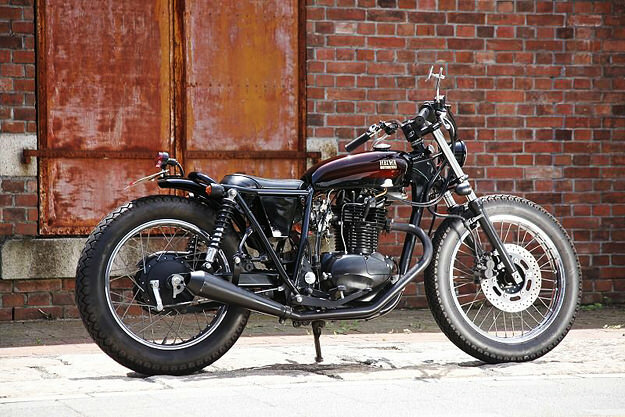 A couple of years ago, we lamented this situation in a profile of the Kawasaki 250TR—a light and good-looking bike with a strong 70s scrambler influence. 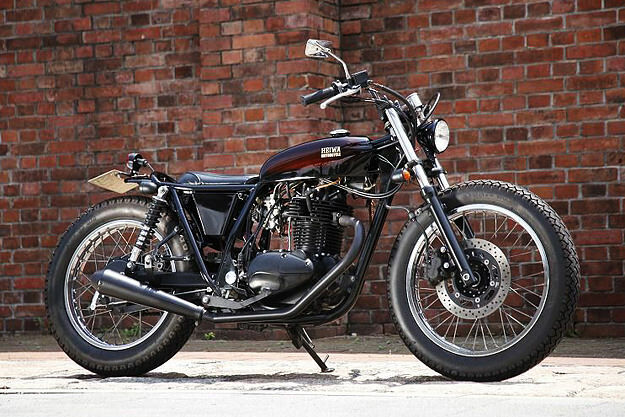 The Japanese custom shops have been modifying the Estrella-based 250TR for years, and Heiwa has got it down to a fine art. They’ve just released this lovely machine, tidying up the messy tail of the stock bike and giving the overall aesthetics an even lighter and sleeker look. The stock air-cooled SOHC motor has plenty enough punch for the bike’s size. So Heiwa has simply fitted a free-flowing air filter and a shorter muffler. 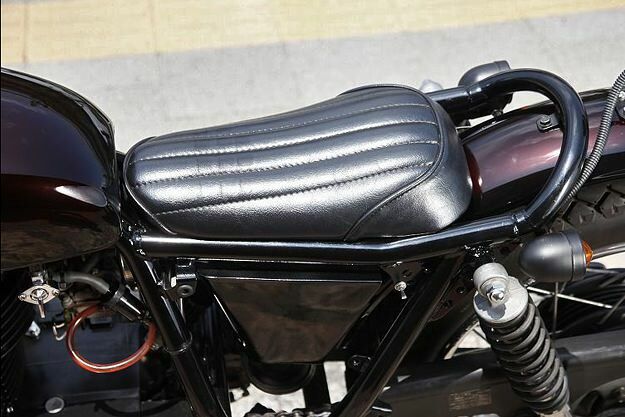 Other mods include new seat rails, a slimline quilted leather seat and a bobbed rear fender. The tank is new, there’s a blacked-out custom battery box, and the stock side panels have gone. New bars are fitted—slightly lower, and with a more pronounced curve. The headlight and instrumentation have both shrunk, and the stock dual-sport tires have been replaced by road-biased Avons with a vintage-style tread. 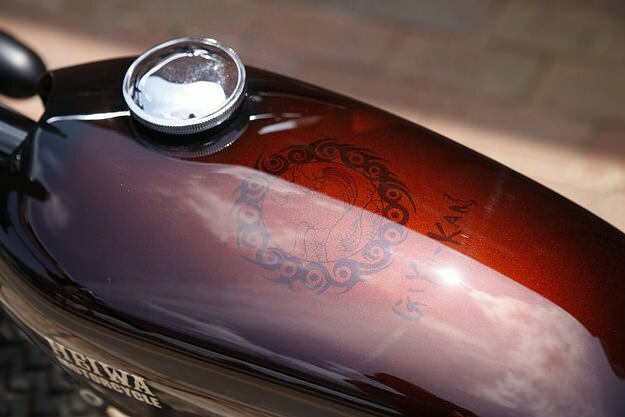 Head over to the Heiwa website for more examples of fine Japanese craftsmanship. 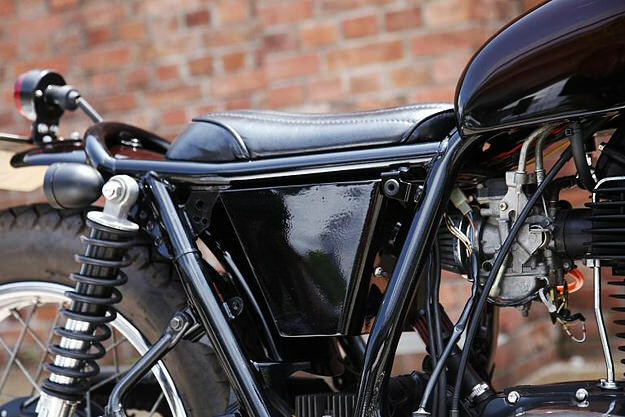 The Heiwa Facebook page is also packed with great galleries of custom builds.